During the Medieval times inflicting pain and torture was an accepted form of punishment or interrogation. The cruel and pitiless torturers were induced to inflict the horrors of torture or punishment, including being burned at the Stake, on the pitiful prisoners. Different types of torture or methods of punishment were inflicted, depending on the crime and the social status of the victim, using various methods and various types of devices or instruments. There were no laws or rules to protect the treatment of prisoners who faced torture or punishment, such as being Burned at the Stake. No matter what the type of torture or punishment was used it was seen as a totally legitimate means for justice to extract confessions, obtain the names of accomplices, obtain testimonies or confessions or to impose a penalty, sanctioned by law for a wrong committed. The following description provides facts and information about the death sentence of being Burned at the Stake. The punishment by fire, or being burned at the stake, was always inflicted in cases of heresy, or blasphemy. 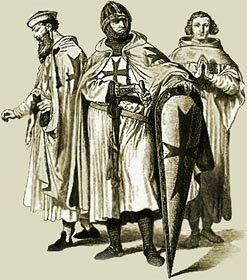 In France, in the beginning of the 14th century, fifty-nine Knights Templar were burned at the same time for the crimes of heresy and witchcraft. And three years later, on the 18th March, 1314, Jacques Molay, and a few other dignitaries of the Order of the Templars, also perished by being burned at the stakes at the end of the island of Notre Dame in Paris. Many executions were public. In France it was the custom for the condemned to take part in a Death procession. The victim in his shirt, barefooted, the rope round his neck, followed by the executioner, and holding in his hand a wax taper, with a weight, which was definitely specified in the sentence which had been passed upon him, but which was generally of two or four pounds, prostrated himself at the door of a church, where in a loud voice he had to confess his sin, and to beg the pardon of God and man. When a victim had been condemned to be burned at the stake, a long pole called a stake was erected on the spot specially designed for the execution, and round it a pile was prepared, composed of alternate layers of straw and wood, and rising to about the height of a man. Care was taken to leave a free space round the stake for the victim, and also a passage by which to lead him to it. Having been stripped of his clothes, and dressed in a shirt smeared with sulphur, he had to walk to the centre of the pile through a narrow opening, and was then tightly bound to the stake with ropes and chains. After this, faggots and straw were thrown into the empty space through which he had passed to the stake, until he was entirely covered by them; the pile was then fired on all sides at once. Sometimes the executioner, in order to shorten the sufferings of the condemned, whilst he prepared the pile, placed a large and pointed iron bar amongst the faggots and opposite the stake breast high, so that, directly the fire was lighted, the bar was quickly pushed against the victim, giving a mortal blow to the unfortunate wretch, who would otherwise have been slowly devoured by the flames. Other merciful method designed to reduce the suffering was to place gunpowder in the wood to ensure a quick death. If a condemned person was really fortunate he would be strangled to death before being chained to the stake. The Medieval Life and Times website provides interesting facts, history and information about the heroes and villains in this era history which scatter the Medieval History books. The Sitemap provides full details of all of the information and facts about the fascinating subject of the lives of the people who lived during the historical period of the Middle Ages. The content of this article on Burned at the Stake provides free educational details, facts and information for reference and research for schools, colleges and homework for history courses and history coursework.